Essex door supervisor training offer regulated SIA door supervisor courses in Essex at their training facility in Ipswich Road in Colchester. Funded door supervisor training is also available and they run open courses each month. 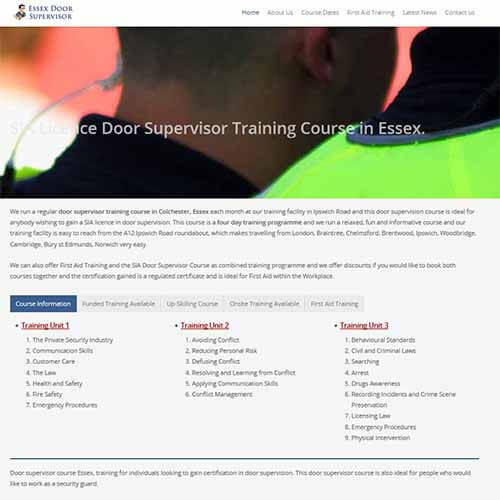 For additional information on the training they can offer in Essex for individual and group bookings see their website by following this link: Door Supervisor Training Essex.